Its been a very smooth and promising relationship with Appnaghar. 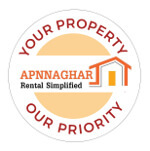 I am based in the UAE and it has been almost a year since Appnaghar has been managing my property. I haven’t had any issues at all and I am very satisfied with the services provided.